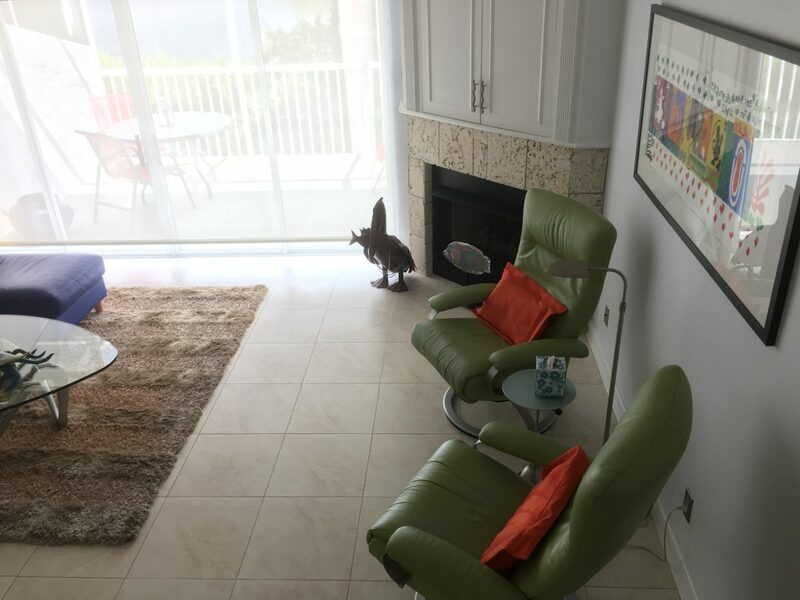 Let Suncoasteam Realty help you buy a Florida Beach home. 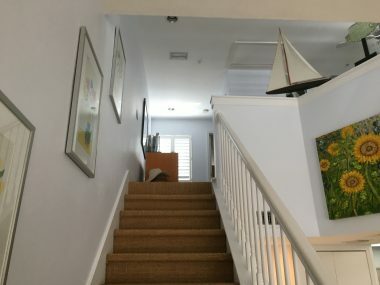 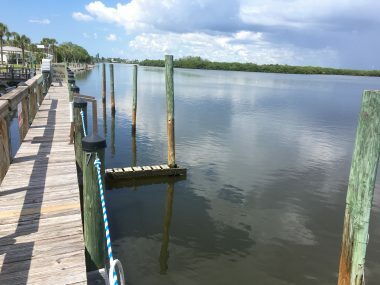 Ultra Luxurious Englewood Beach island townhome with sailboat access dock on Lemon Bay. Bright and airy. 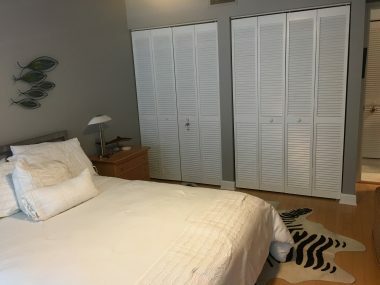 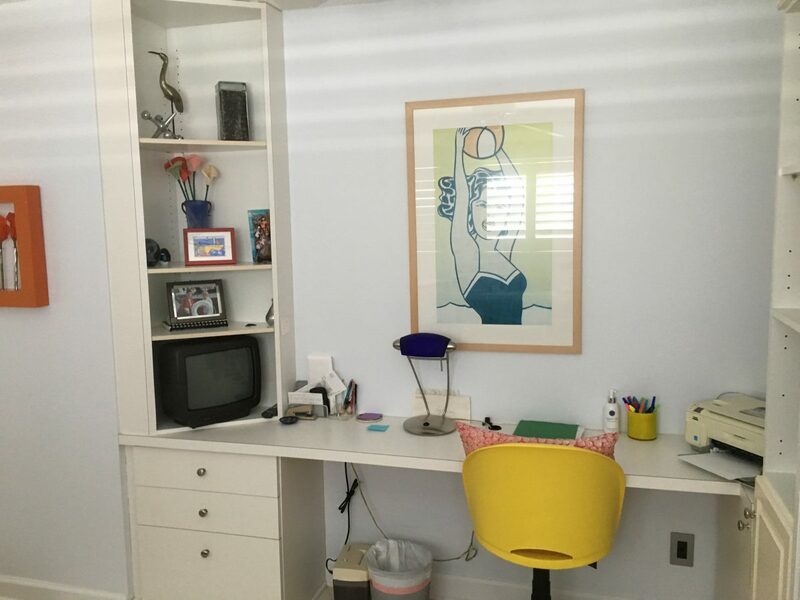 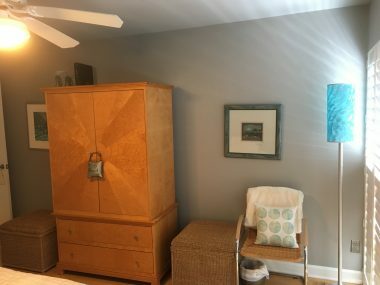 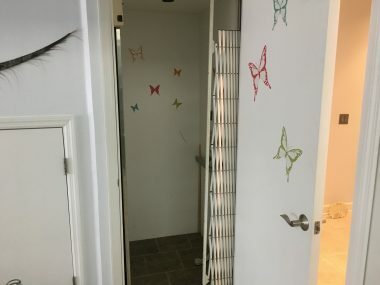 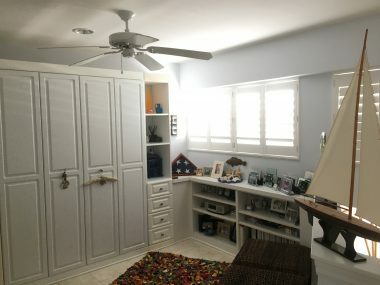 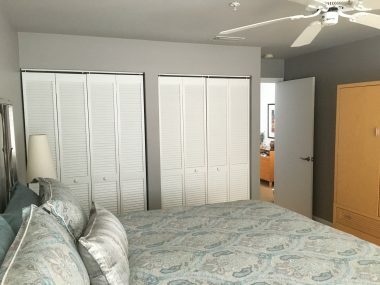 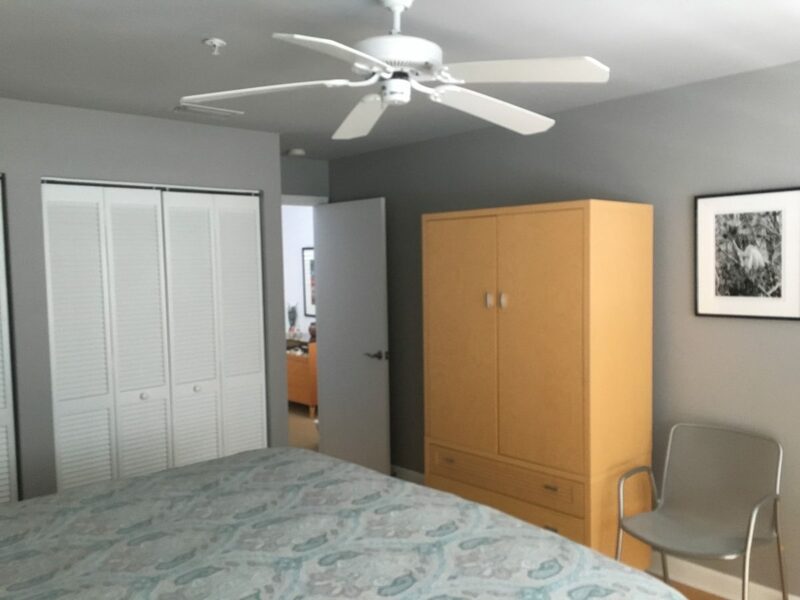 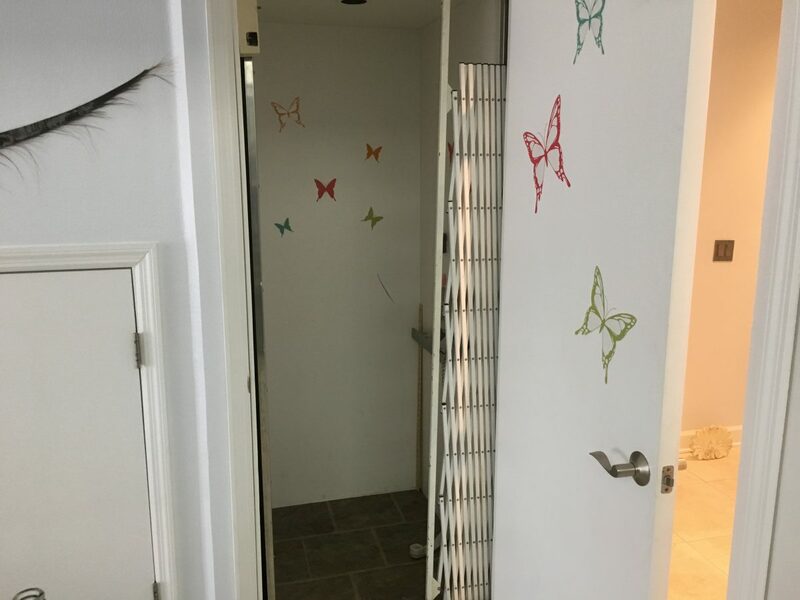 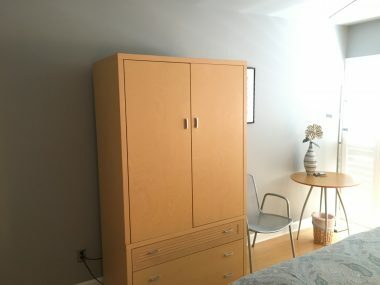 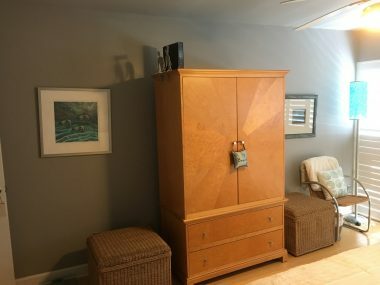 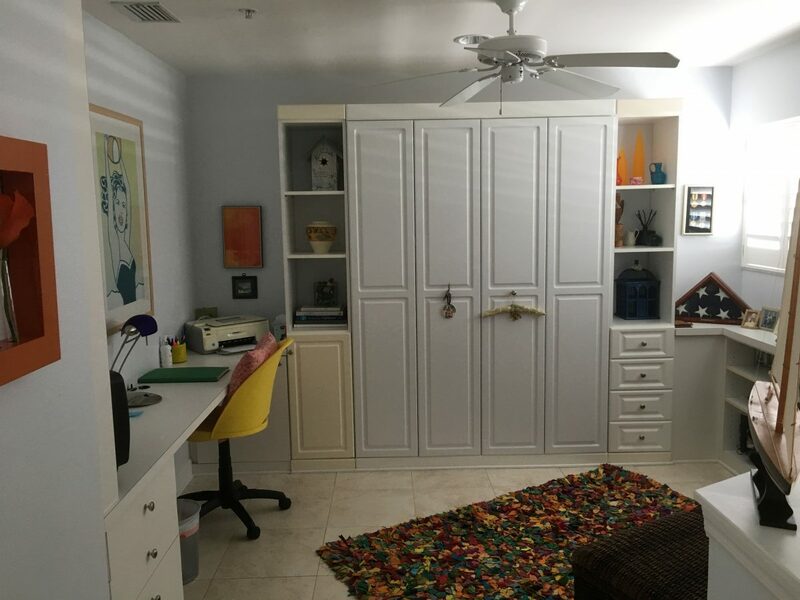 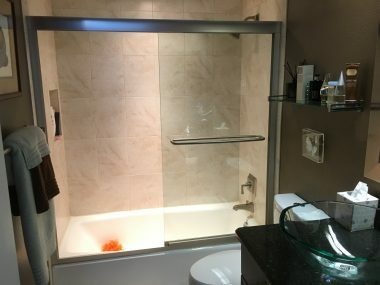 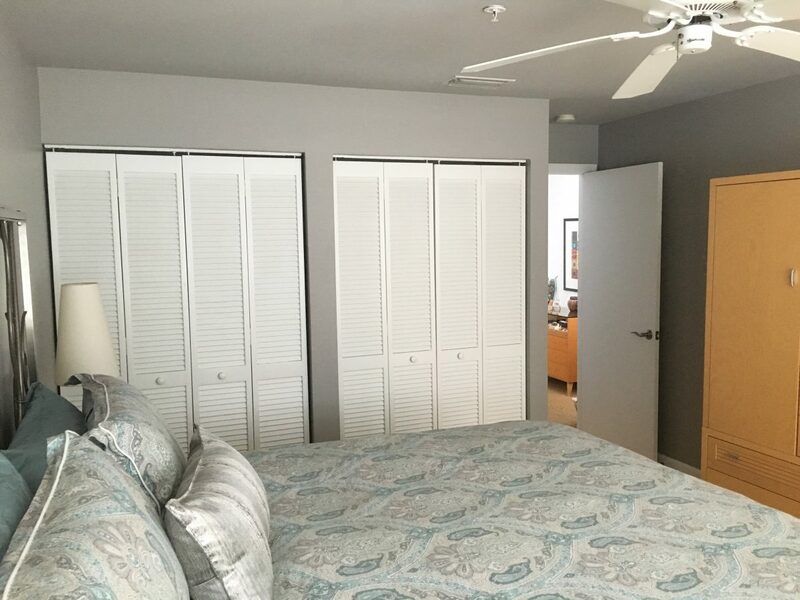 Two bedroom, two bath plus den/office with Murphy Bed. 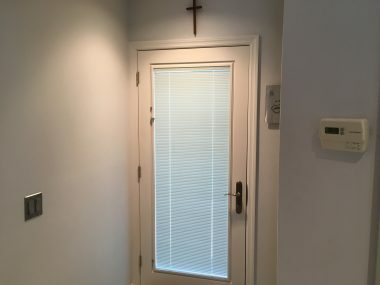 Private elevator from secured, private garage. 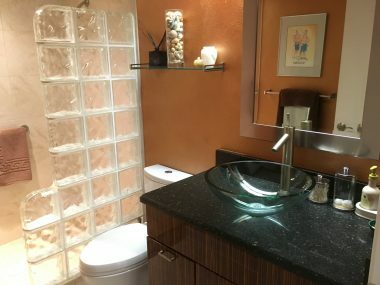 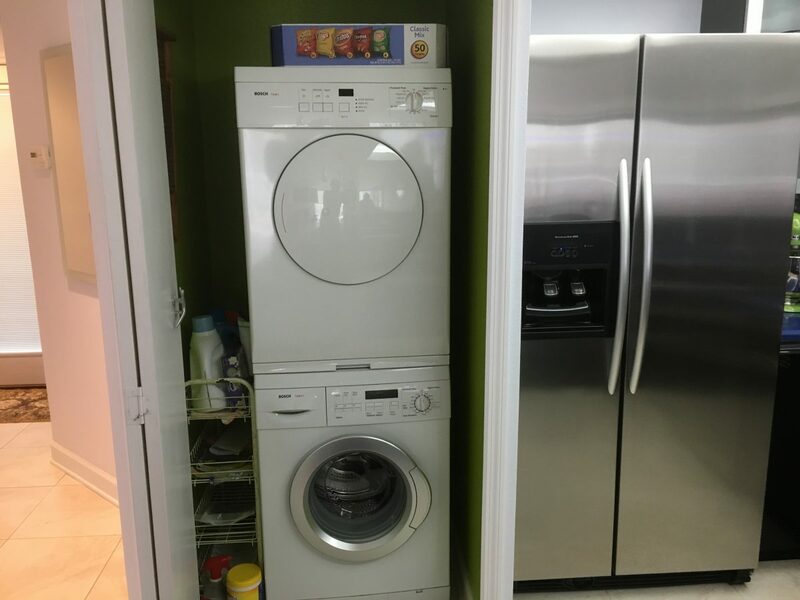 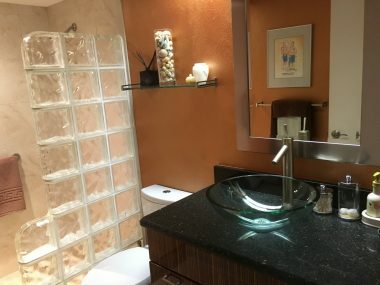 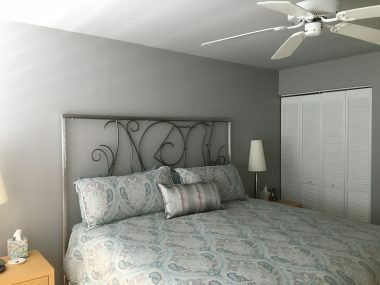 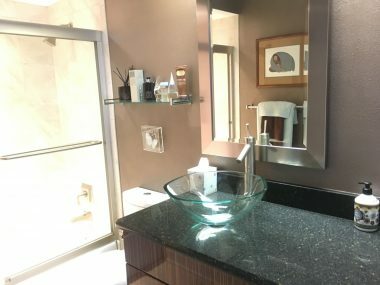 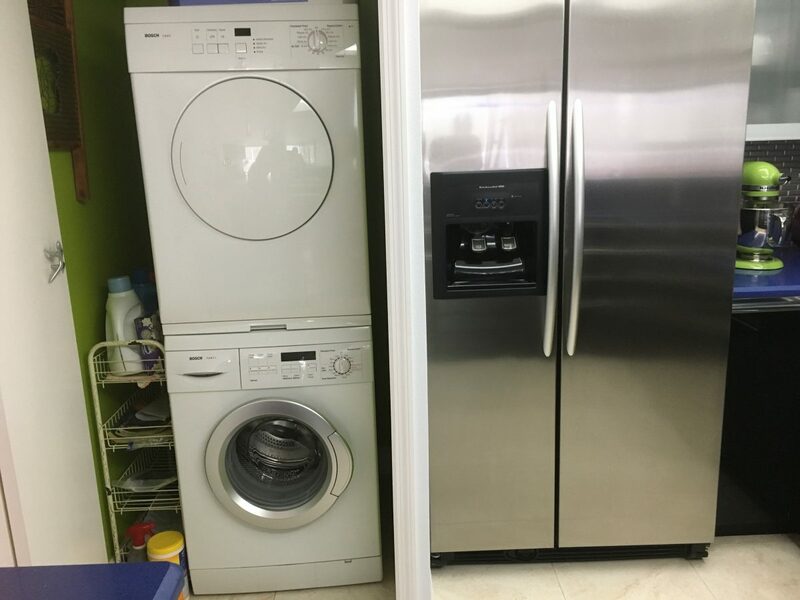 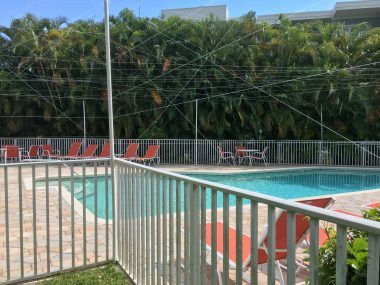 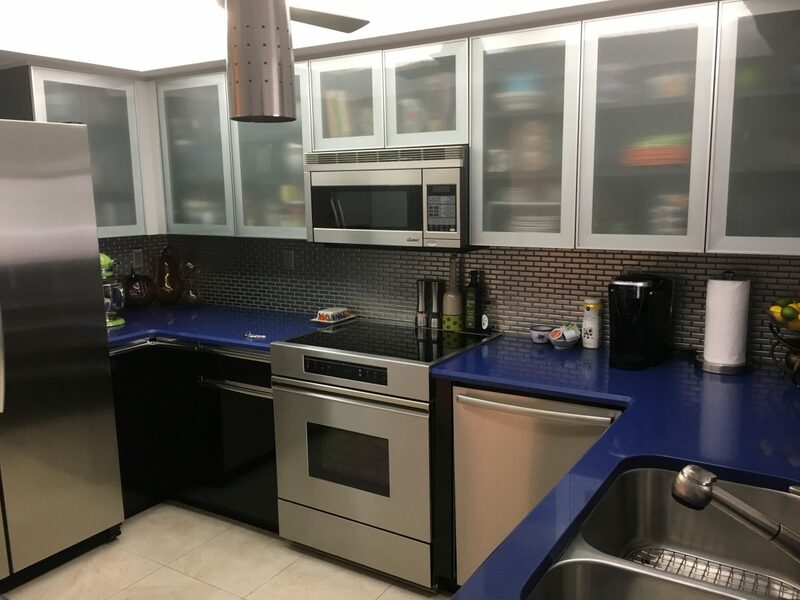 Totally remodeled in last five – eight years, right down to bare walls to include all new floors, fixtures and appliances. 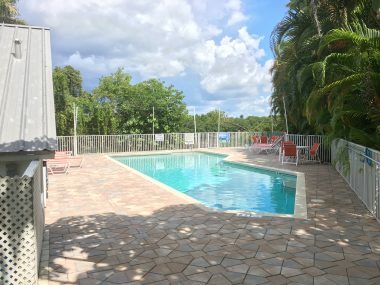 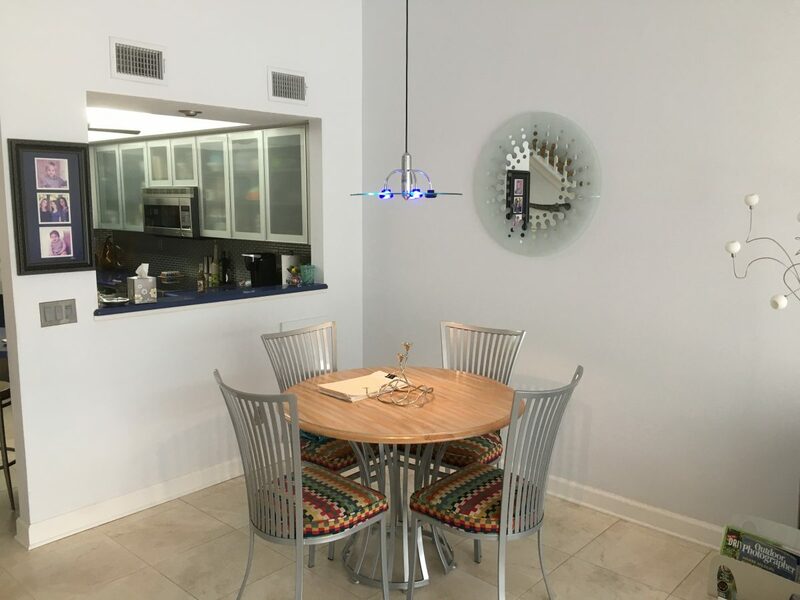 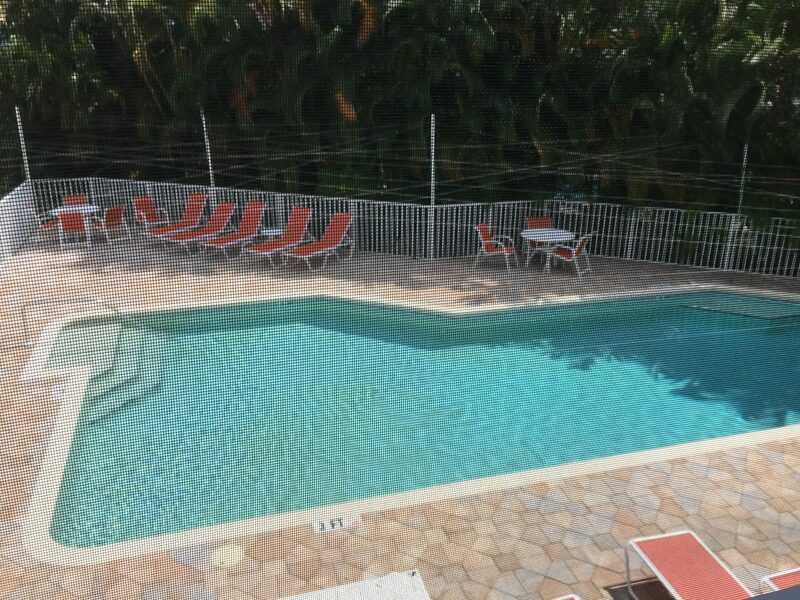 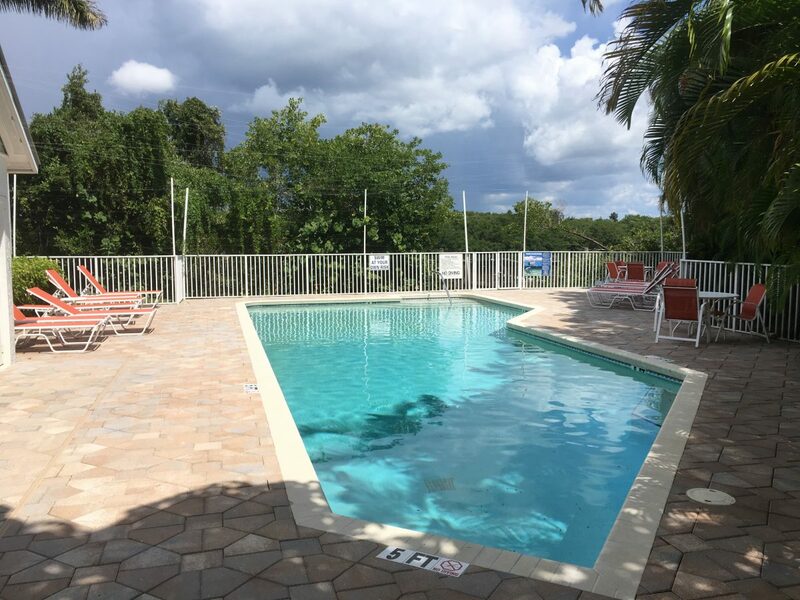 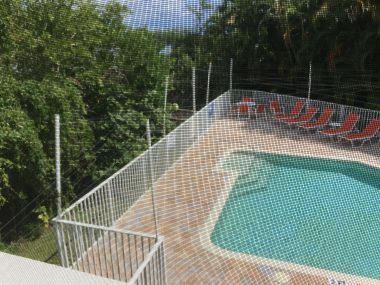 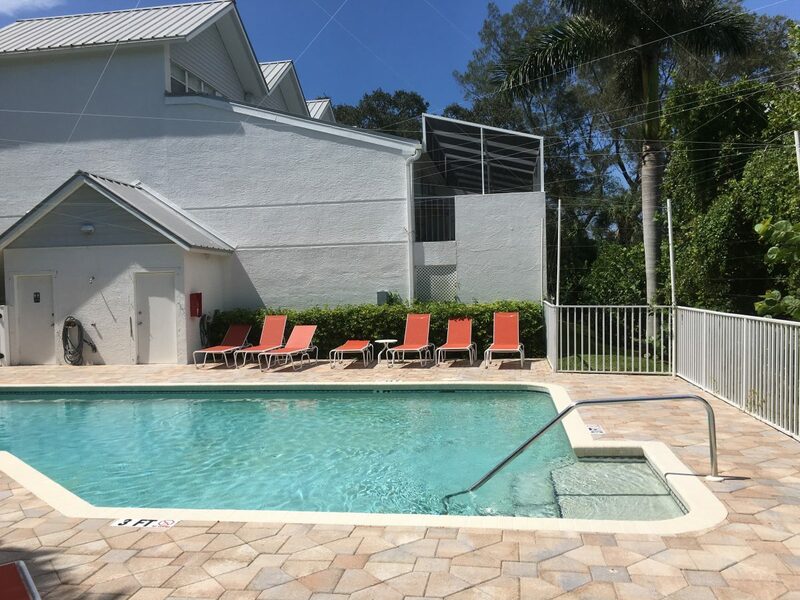 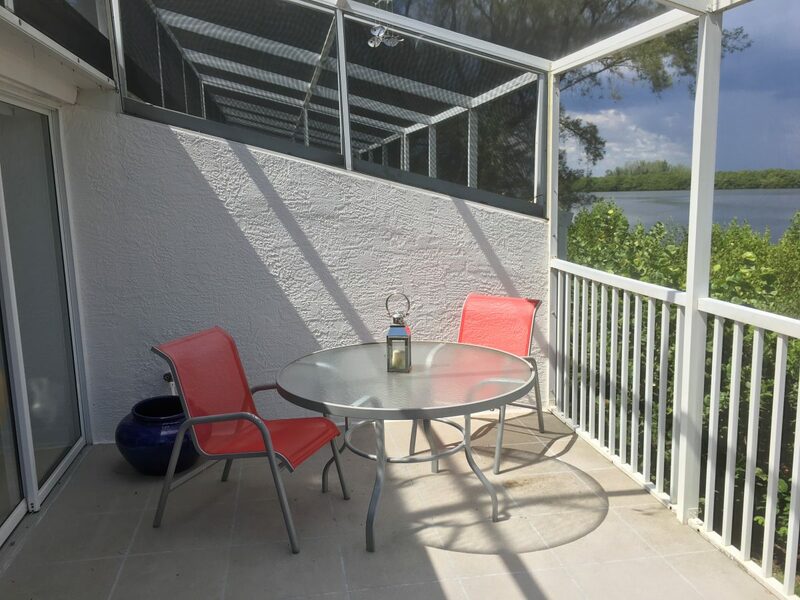 This end unit has a spectacular view of Lemon Bay and the community pool. 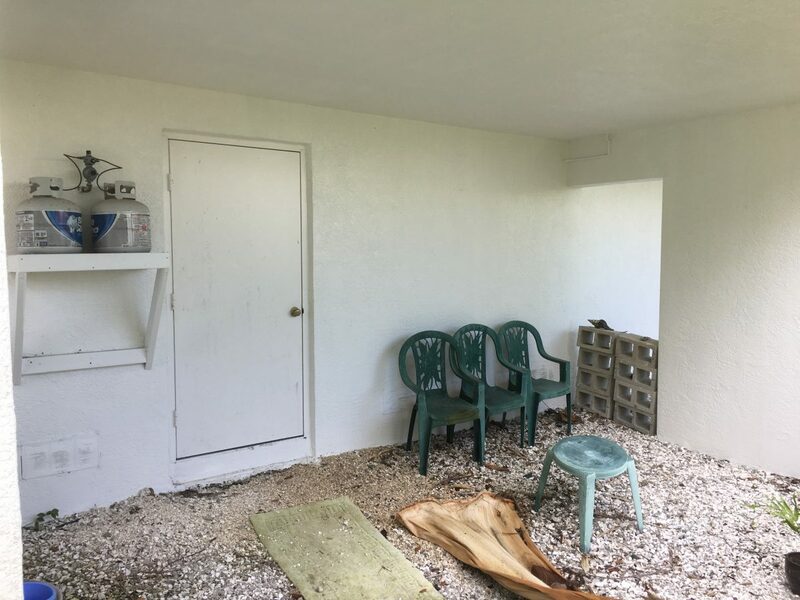 Extra large garage plus car port. 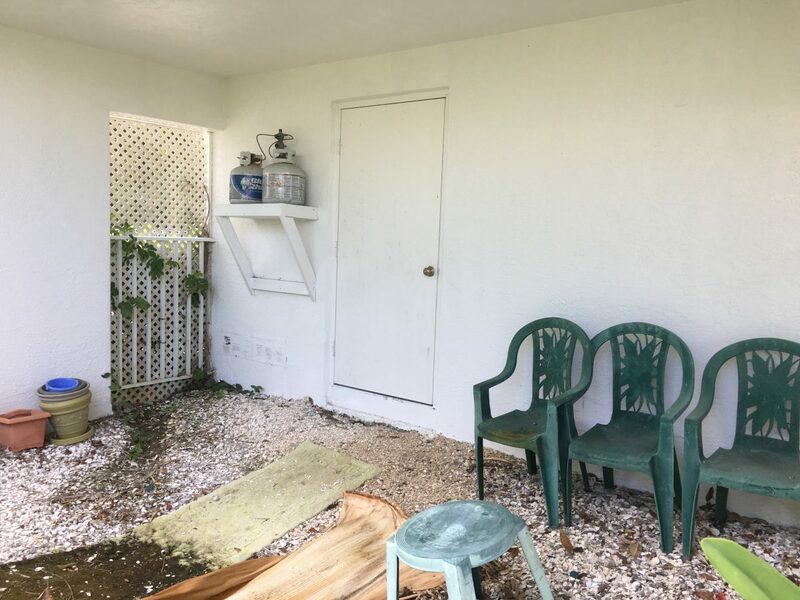 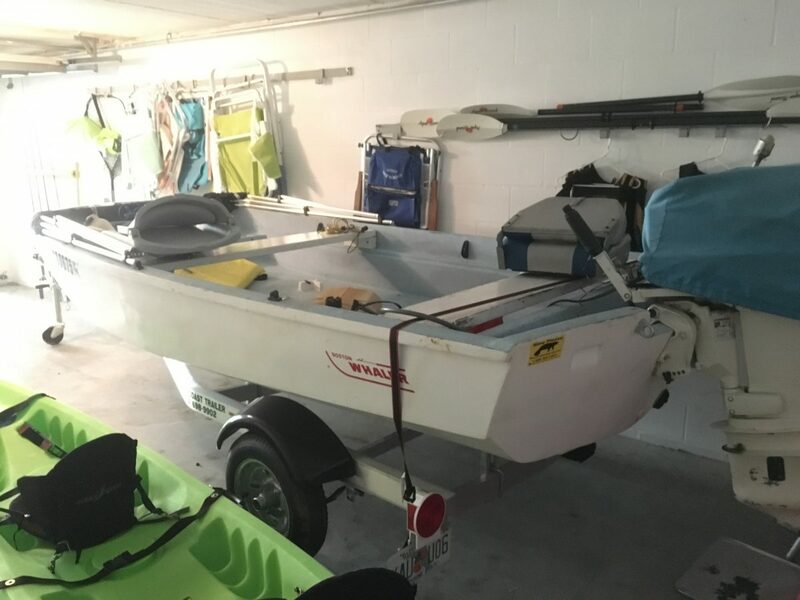 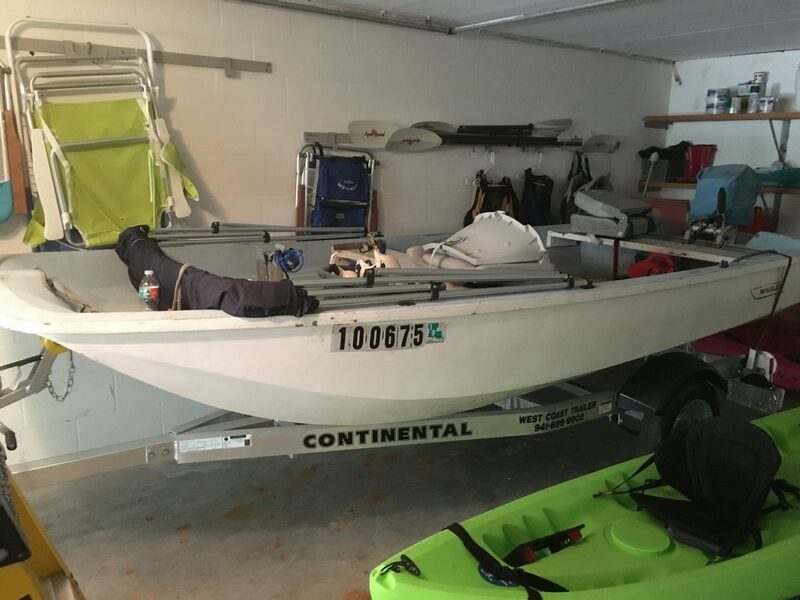 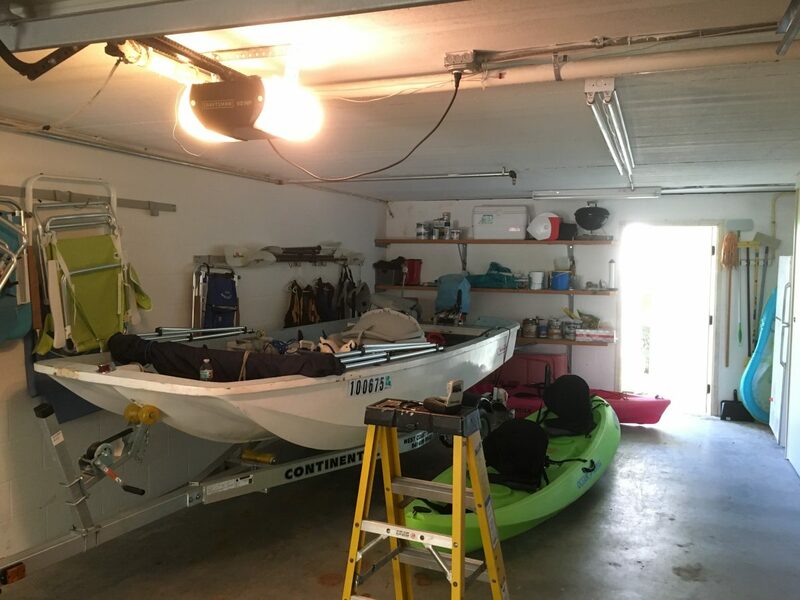 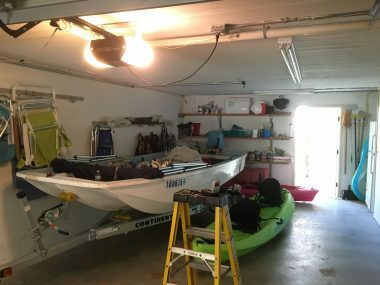 This is the only unit in the building with rear door from garage to the bay for shady relaxing or to launch kayaks into Lemon Bay. 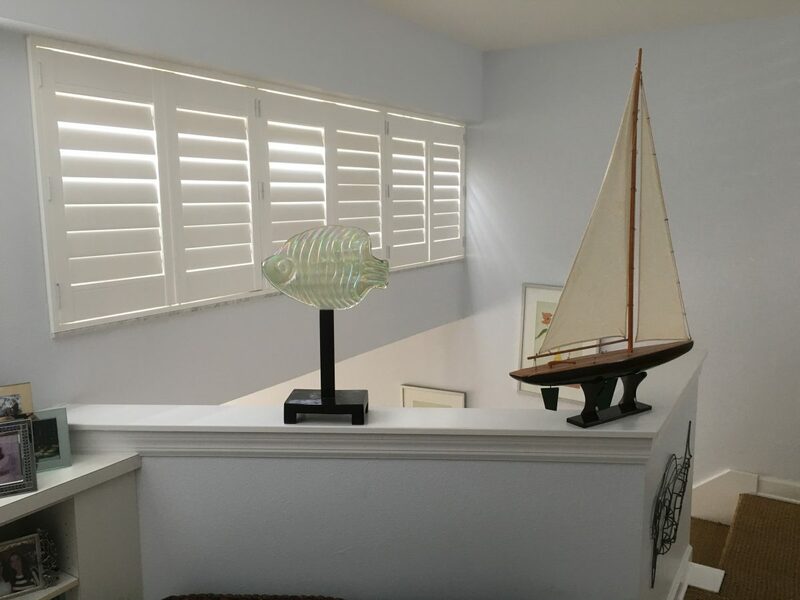 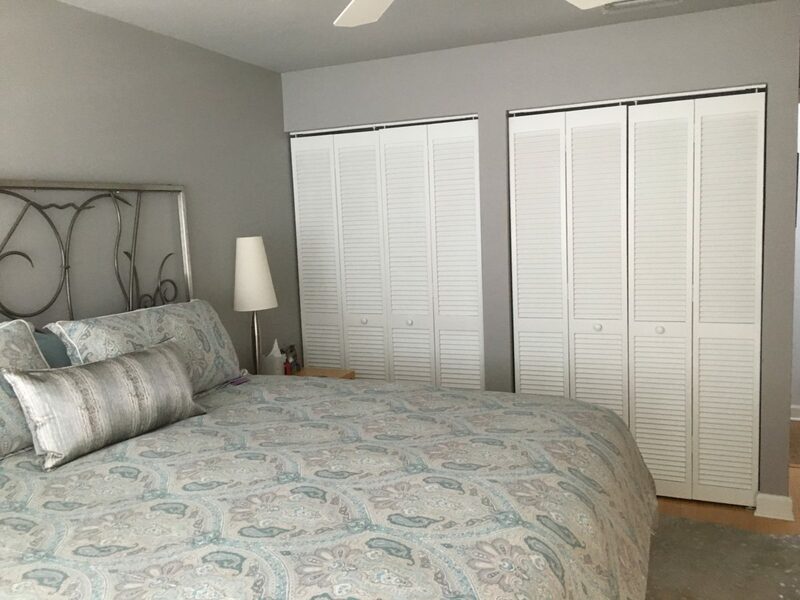 All windows have Plantation Shutters for privacy and energy efficiency. Living room / Great Room has a new (2017) sun shade. 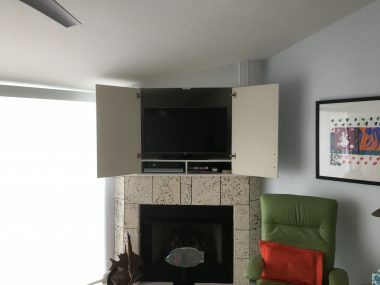 Gas fireplace in Great Room plus built-in TV shelf. 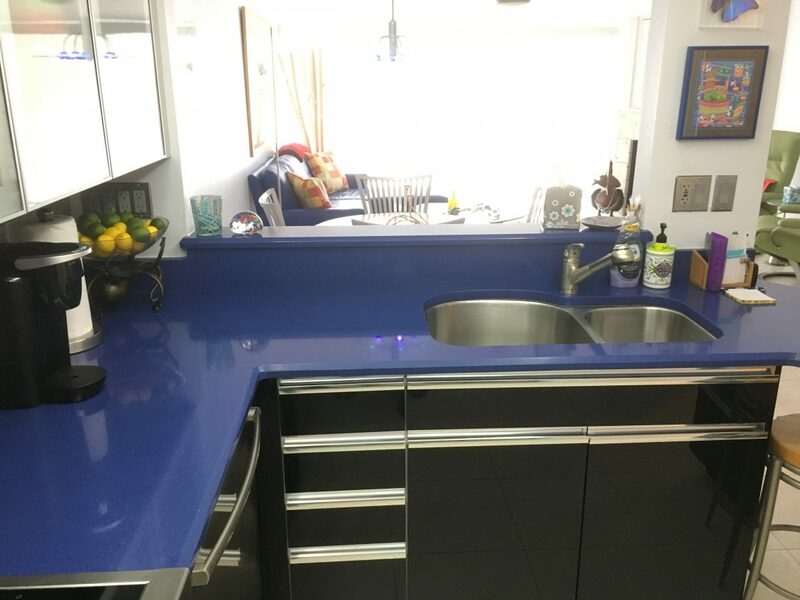 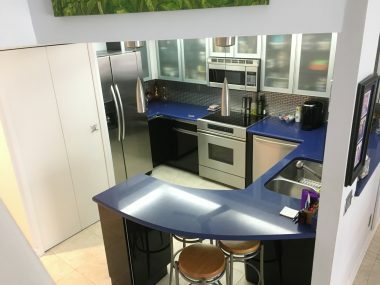 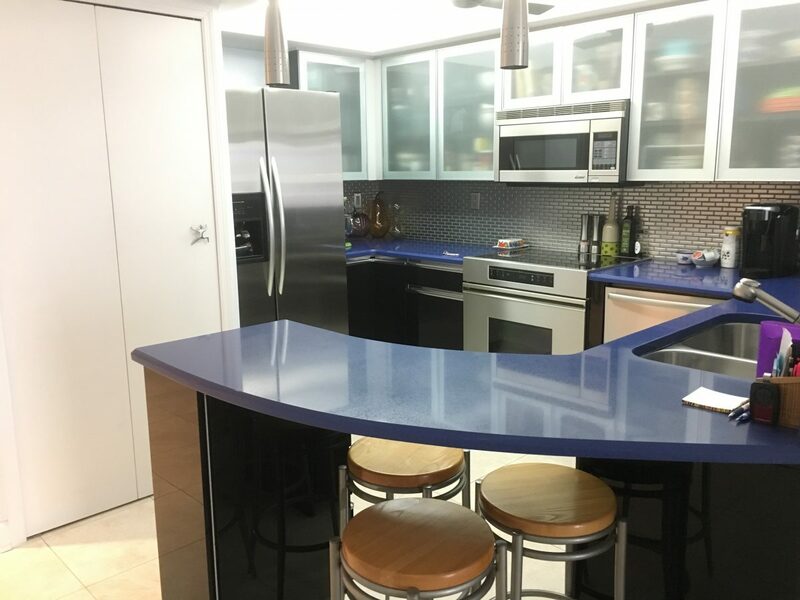 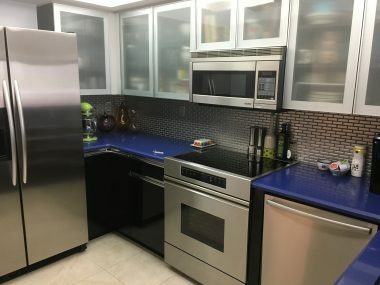 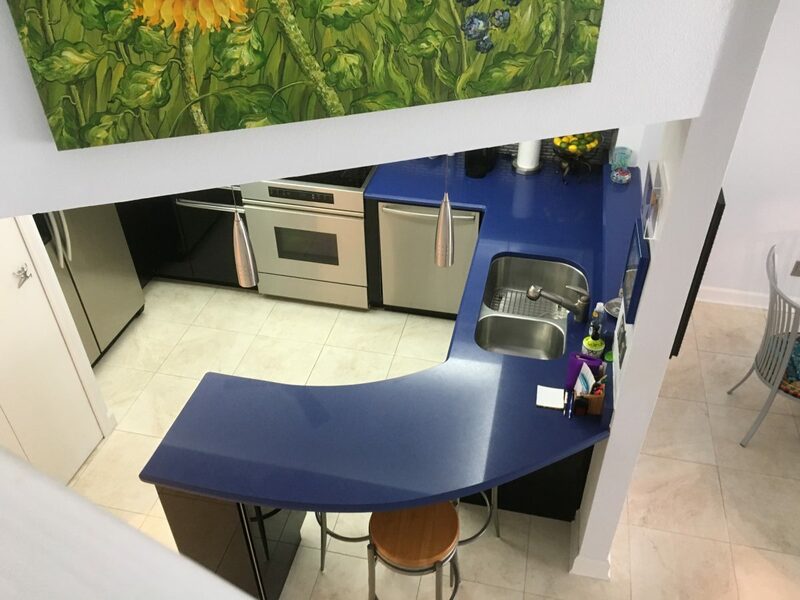 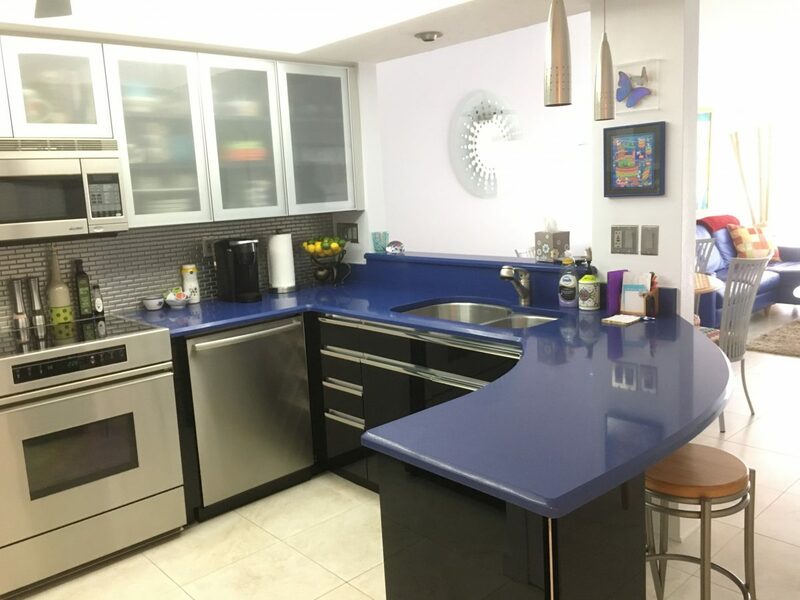 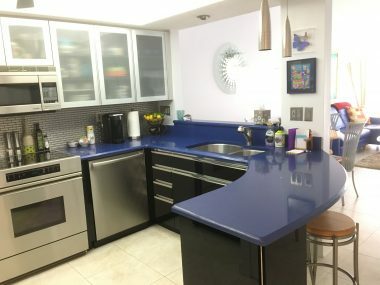 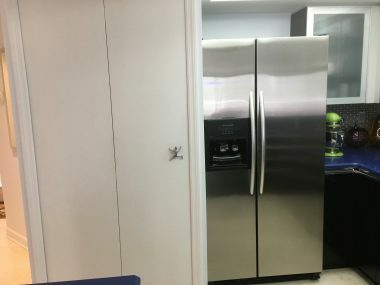 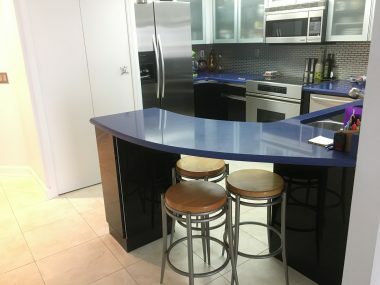 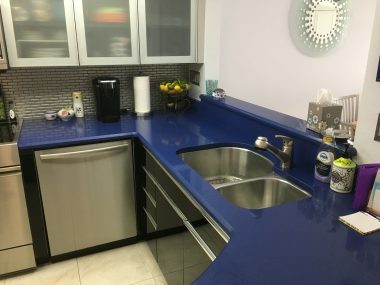 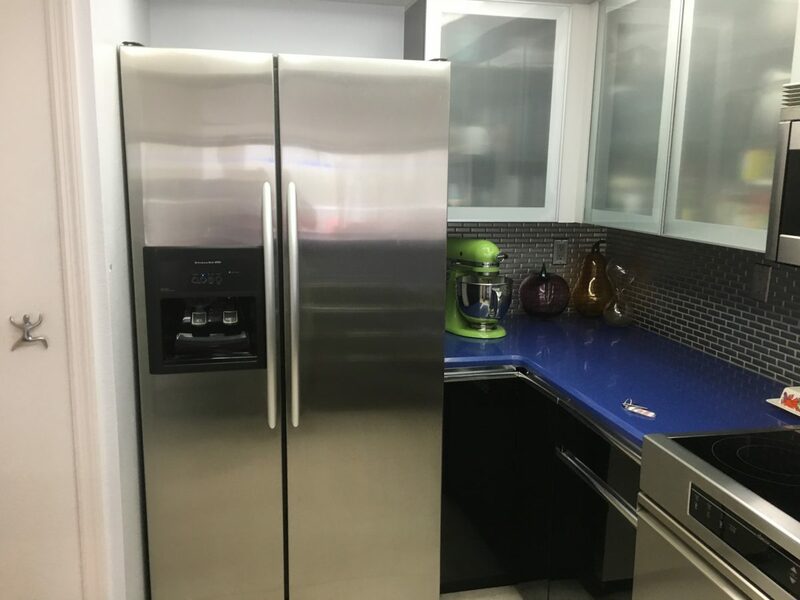 Kitchen with newer, top quality appliances and breakfast bar. 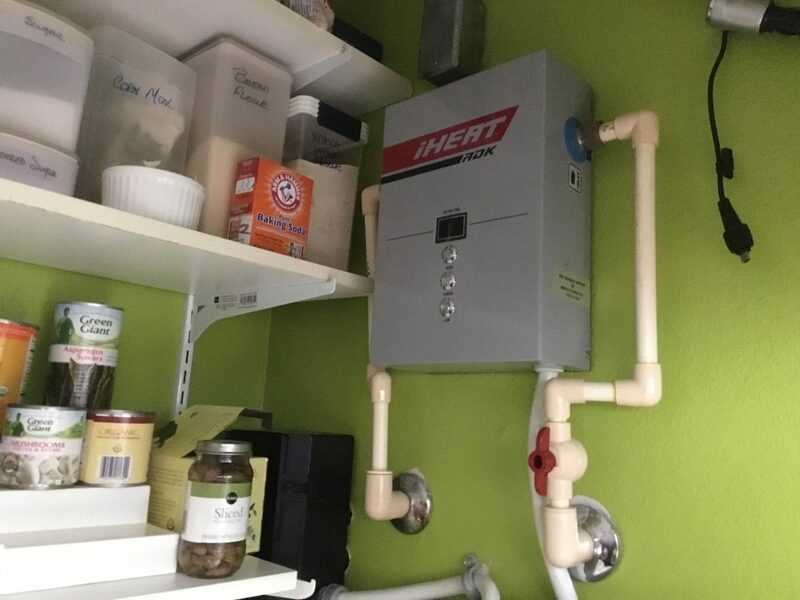 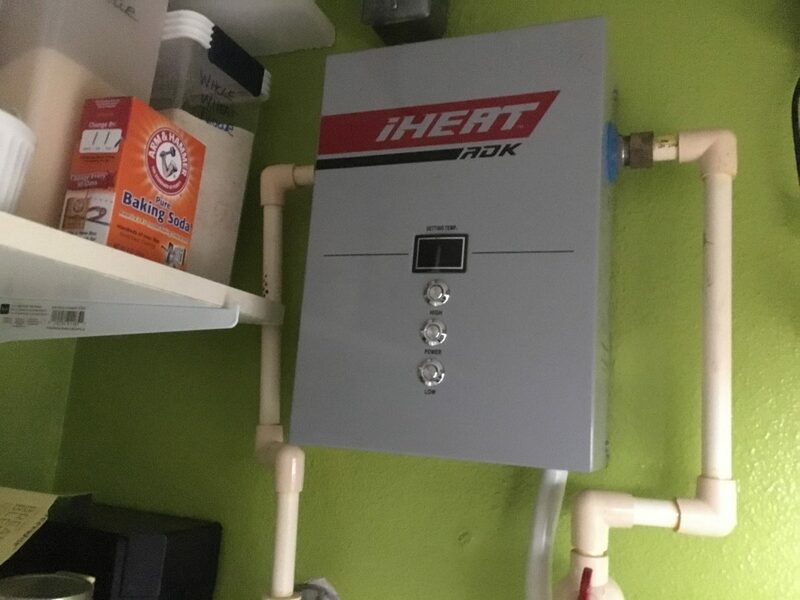 On demand water heater for energy efficiency. 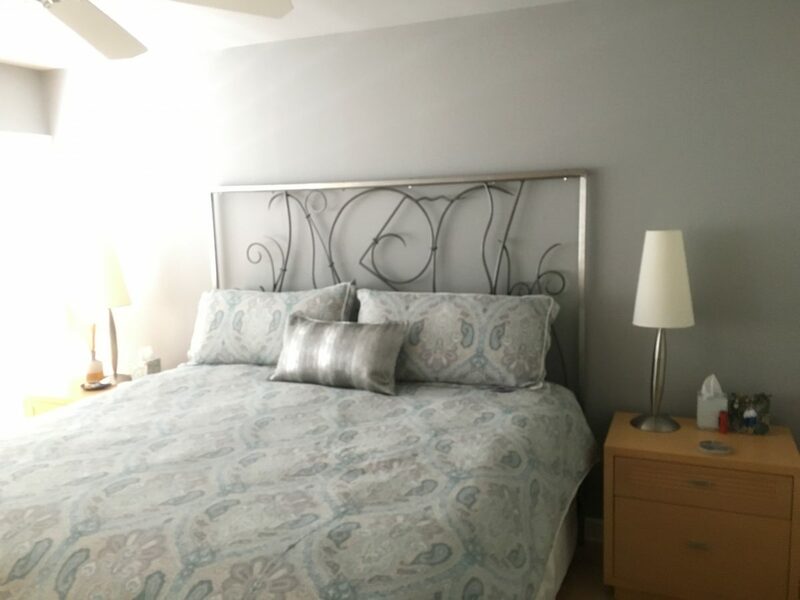 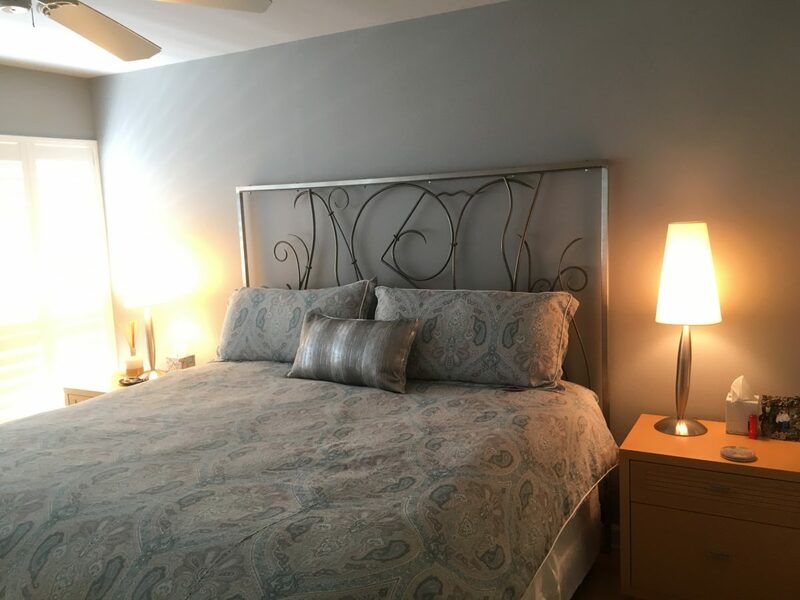 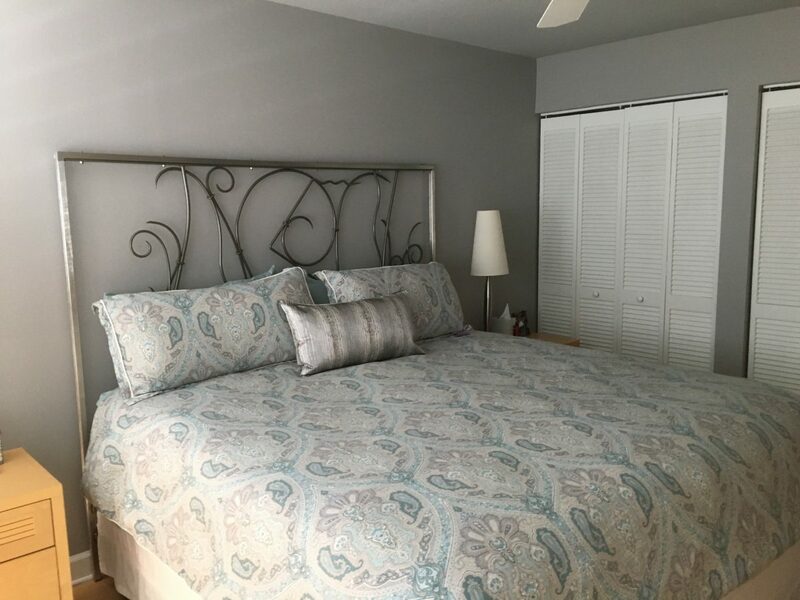 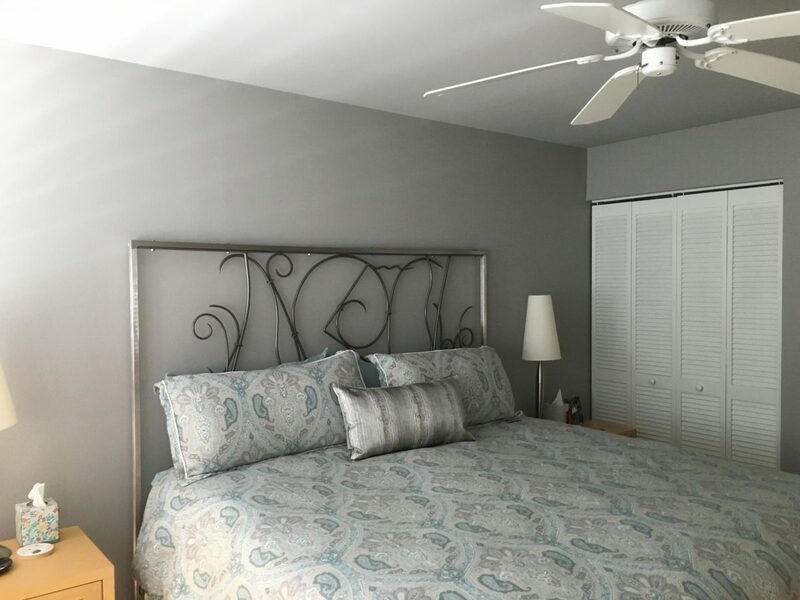 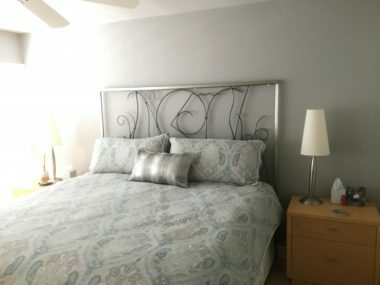 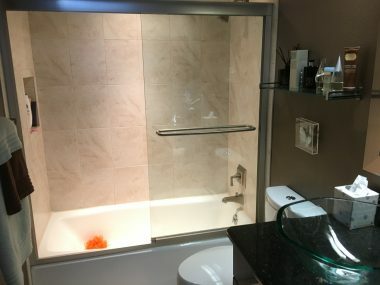 Two large, well appointed bedrooms with high end bath fixtures. Den/office has built-in desk, Murphy Bed and shelves with view of the bay and overlook to Great Room below. 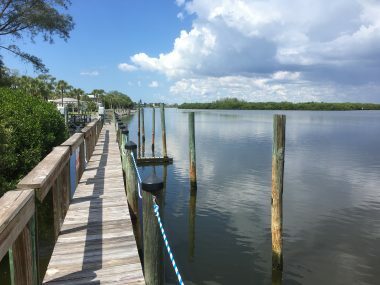 Walk to restaurants on the beach. 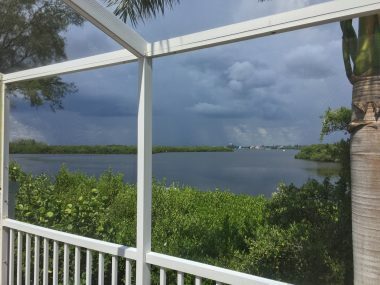 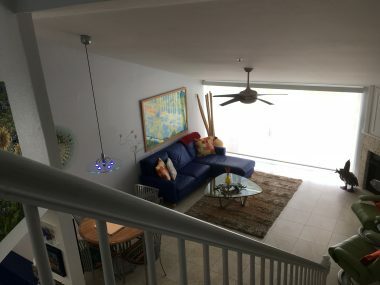 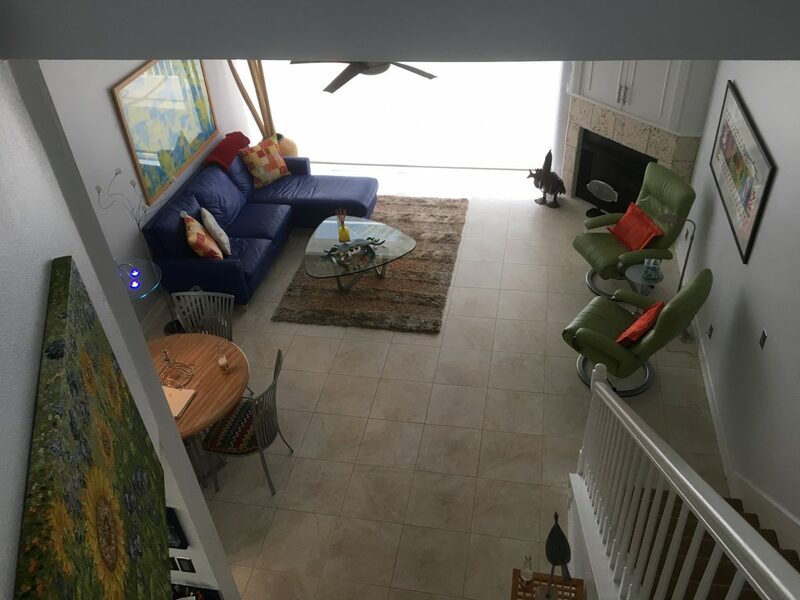 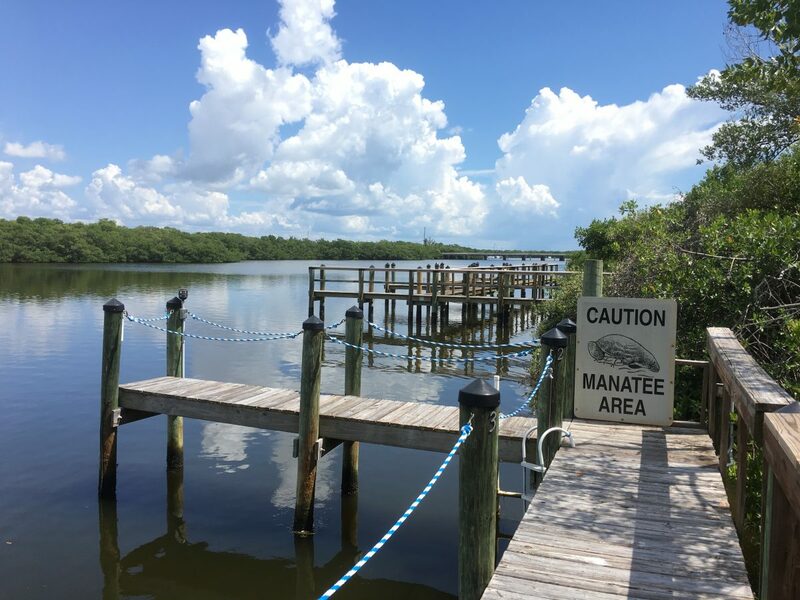 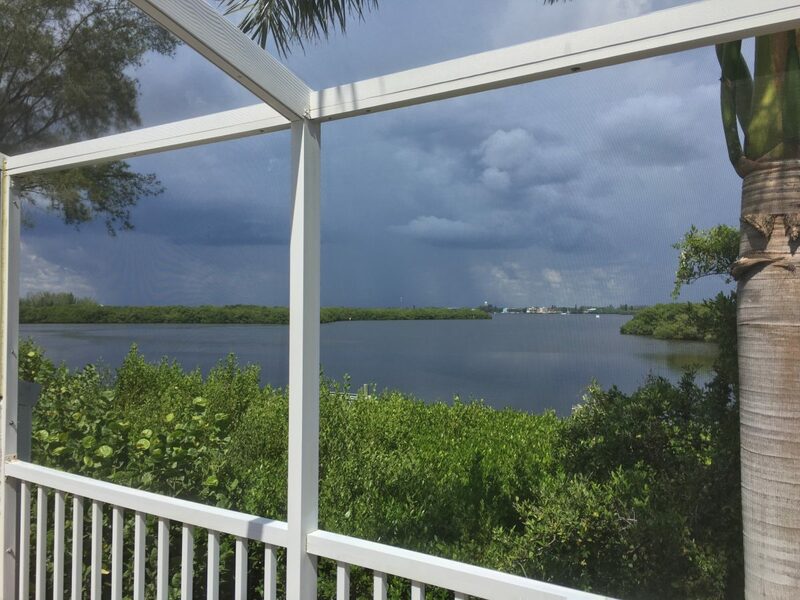 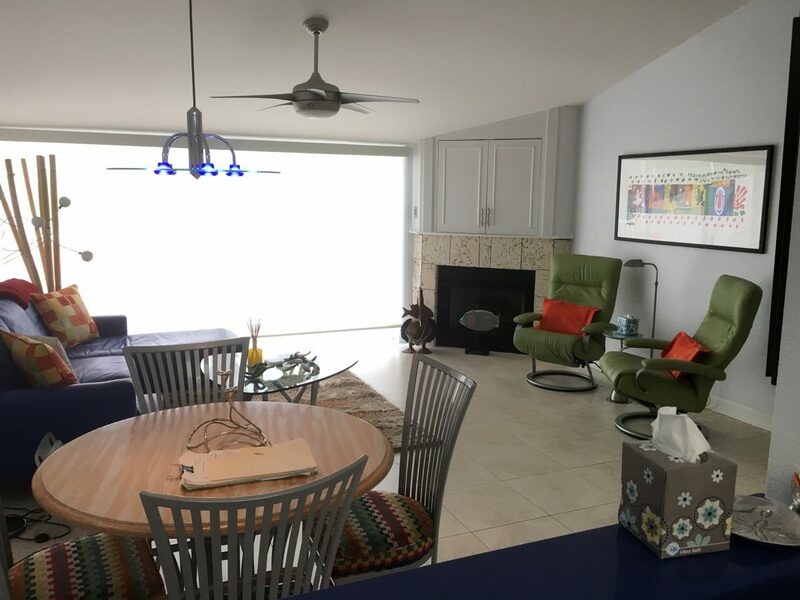 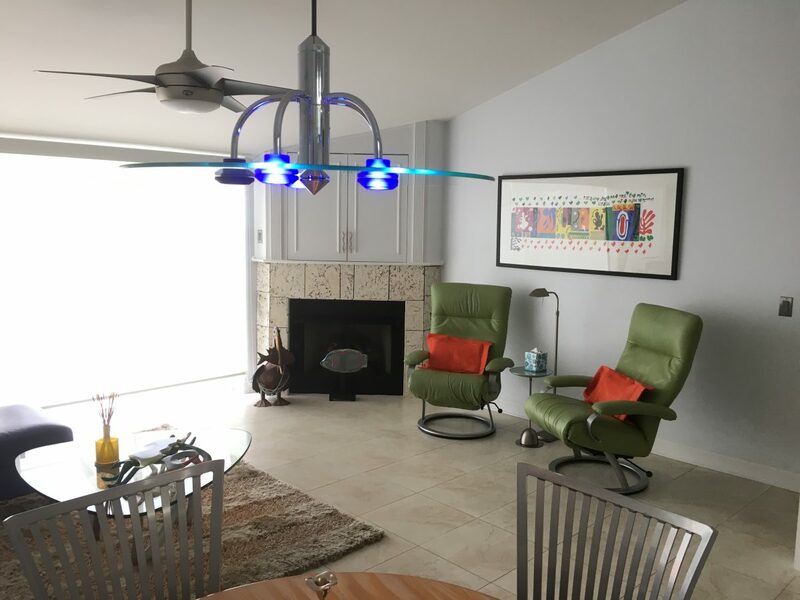 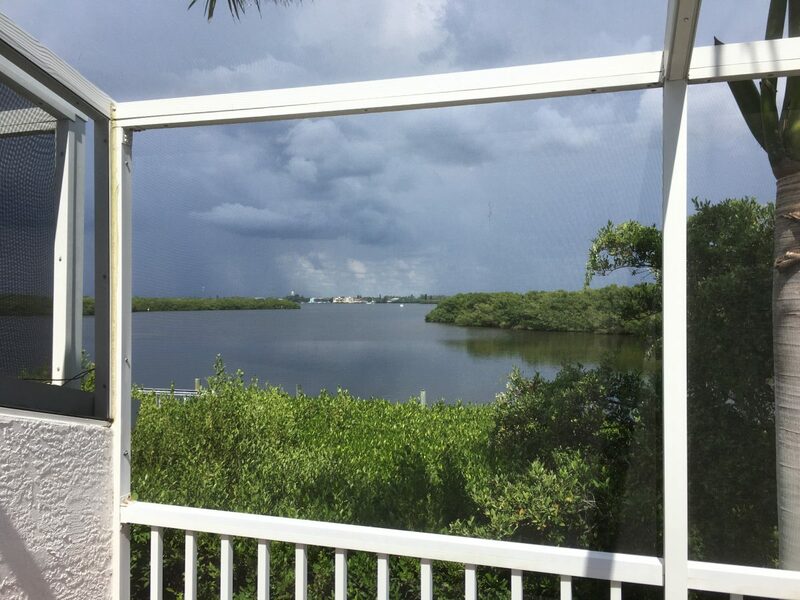 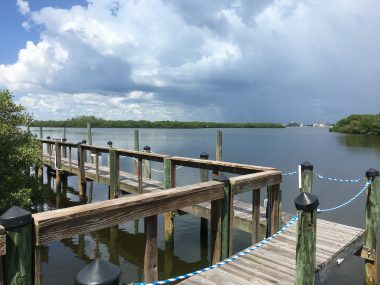 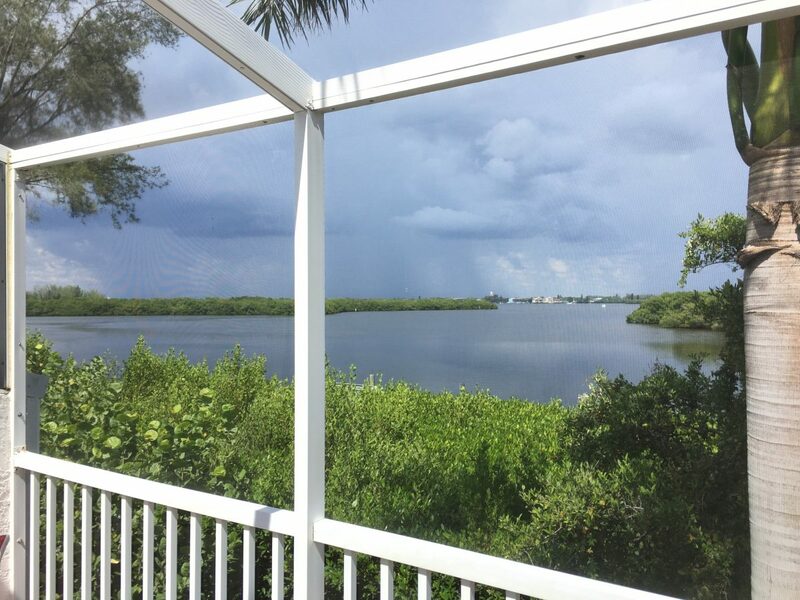 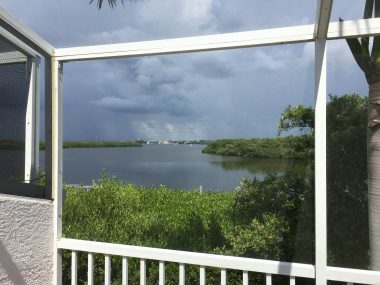 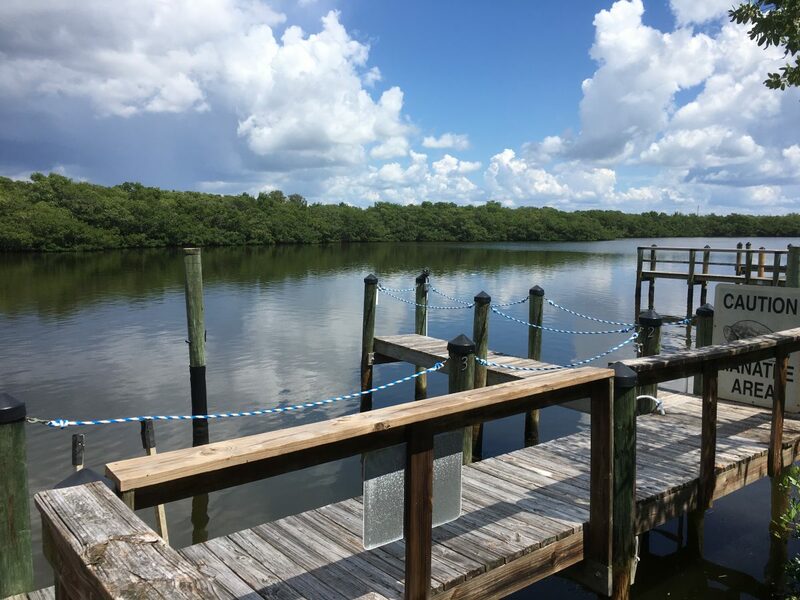 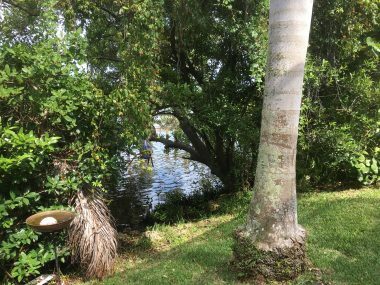 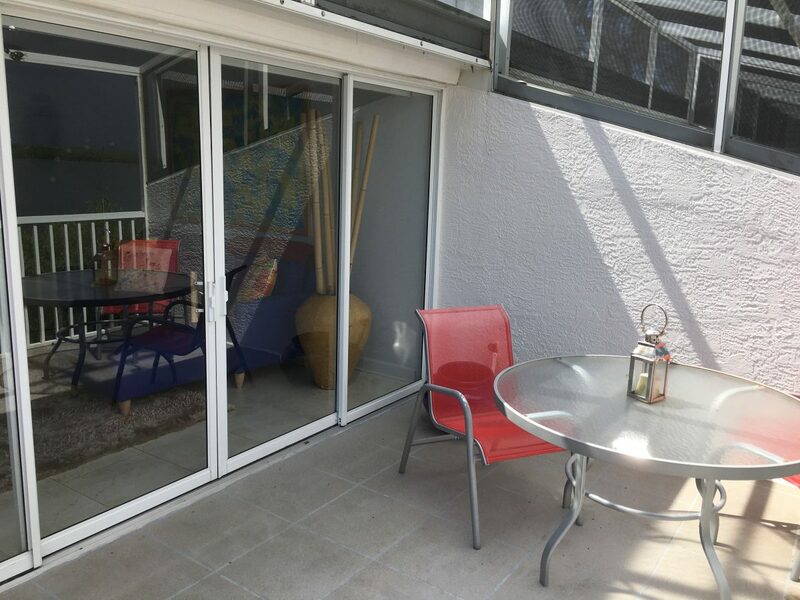 Enjoy your mornings on the lanai and watch the sun rise over Lemon Bay or walk down the lane to the beach and watch the sunset. 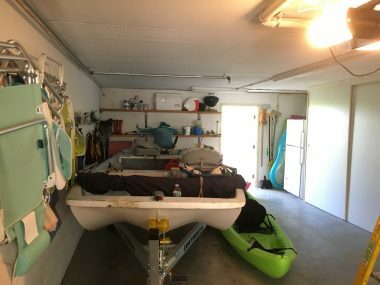 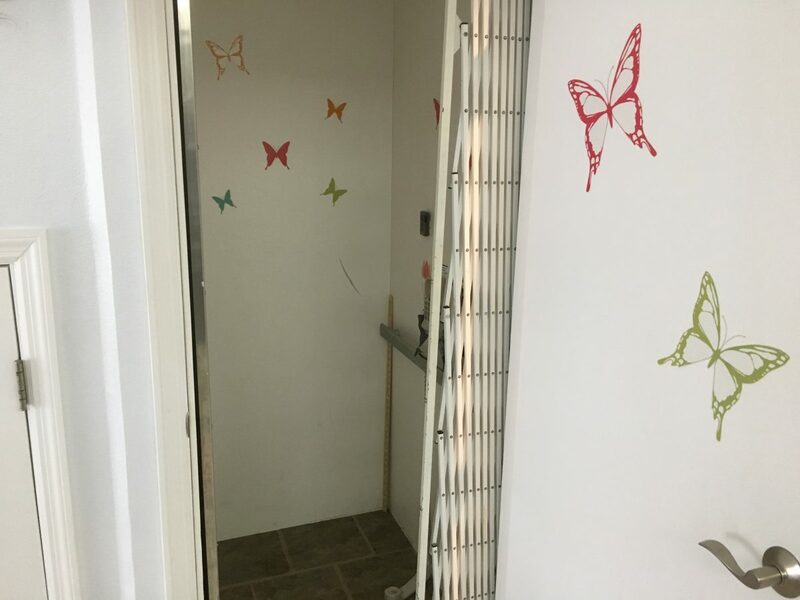 Garage has plenty of room for your luxury car and toys plus shelving for tools and more. 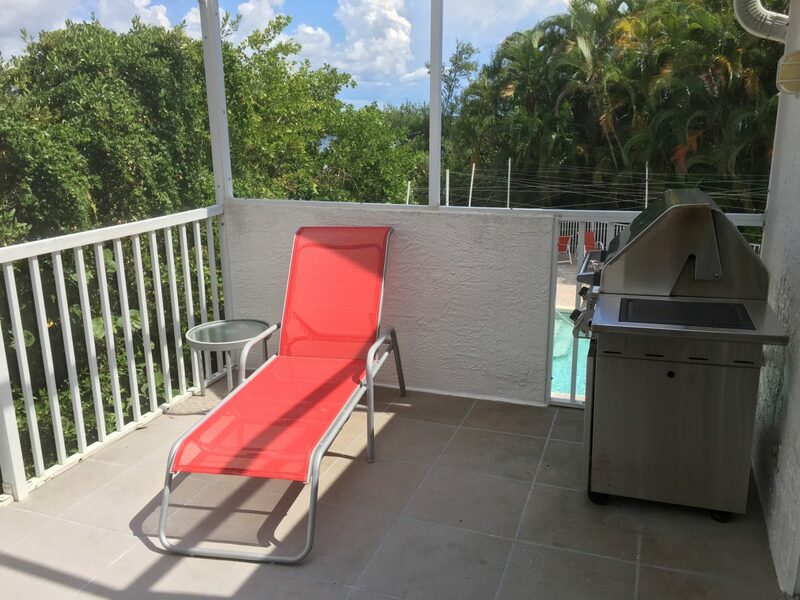 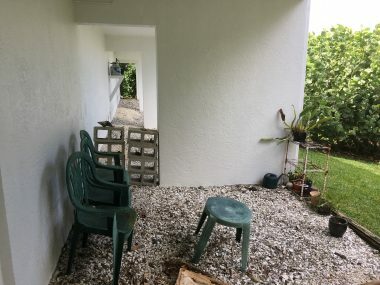 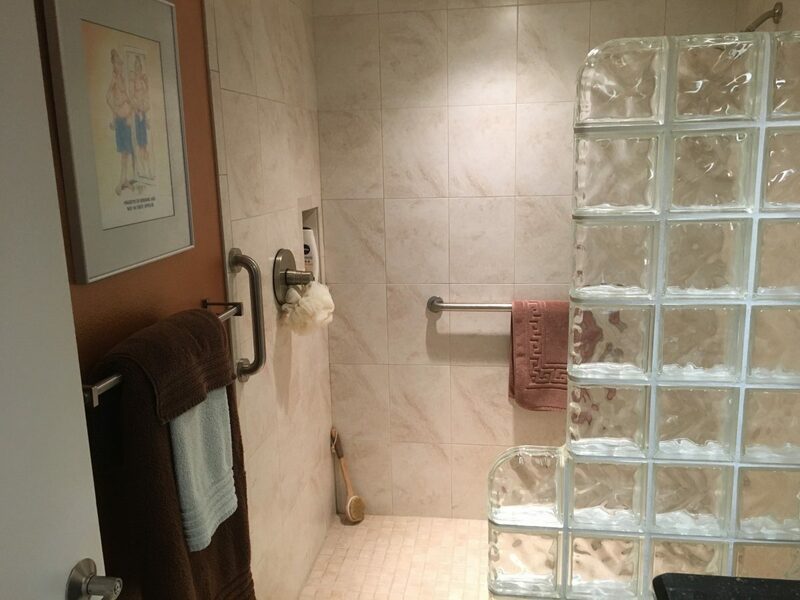 In the carport there is a shower to rinse after the pool or kayaking Lemon Bay. 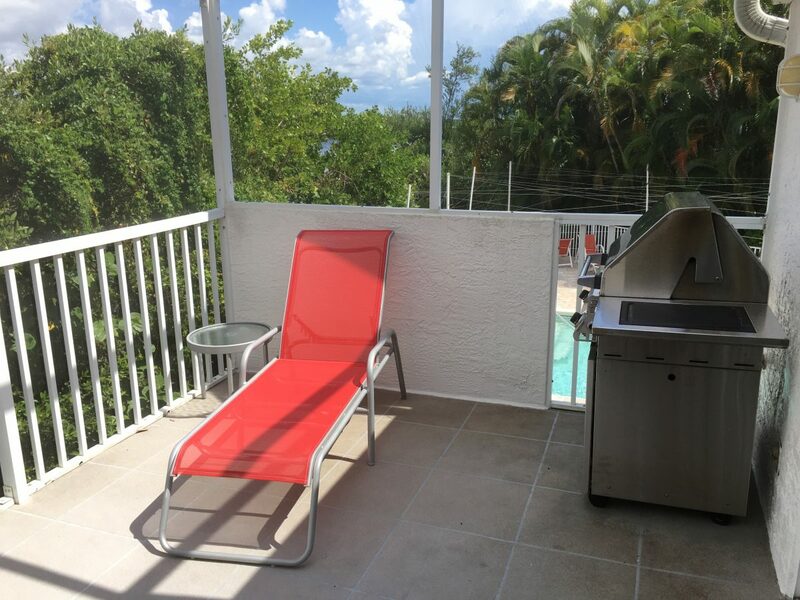 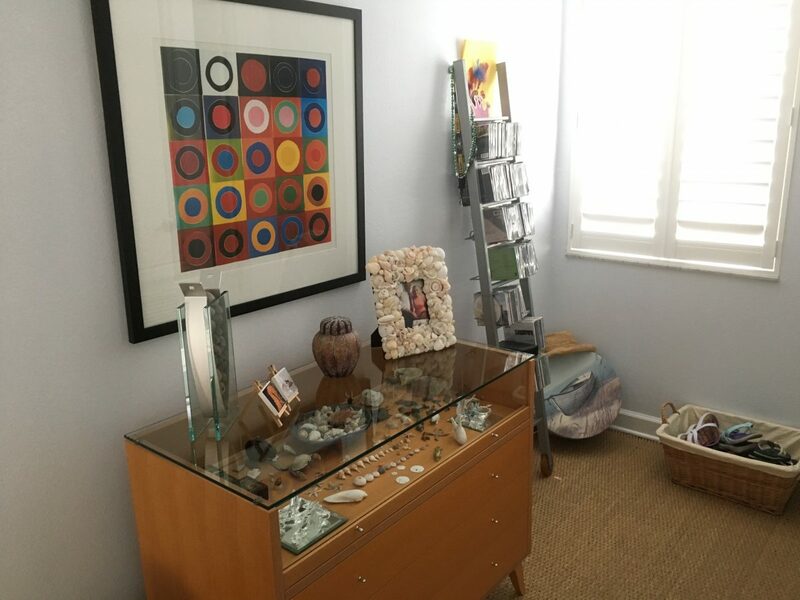 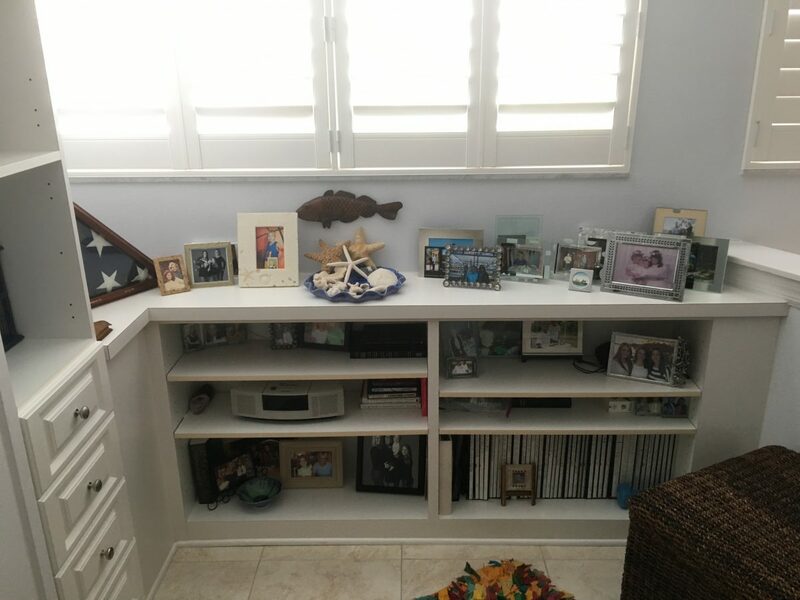 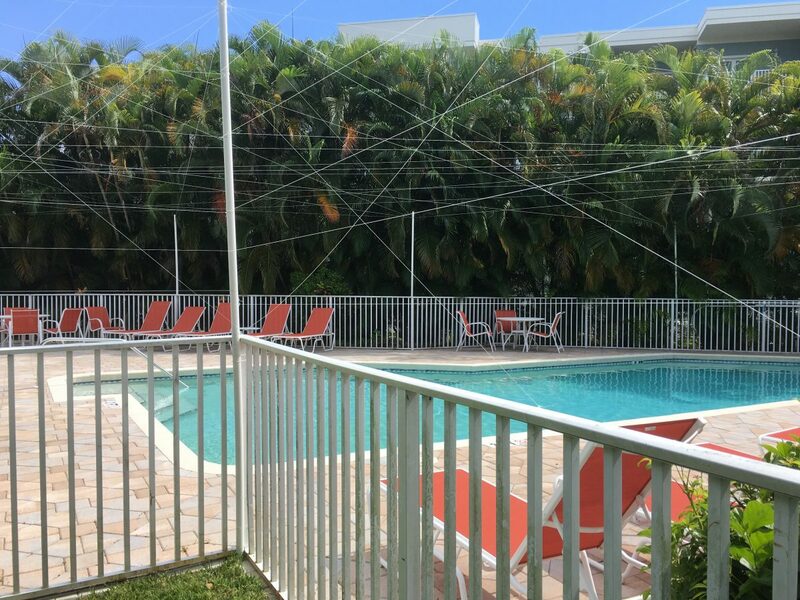 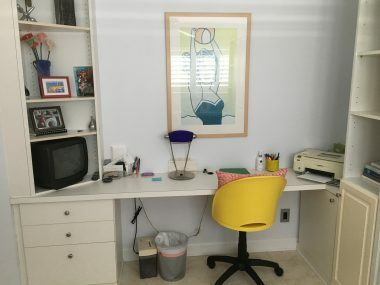 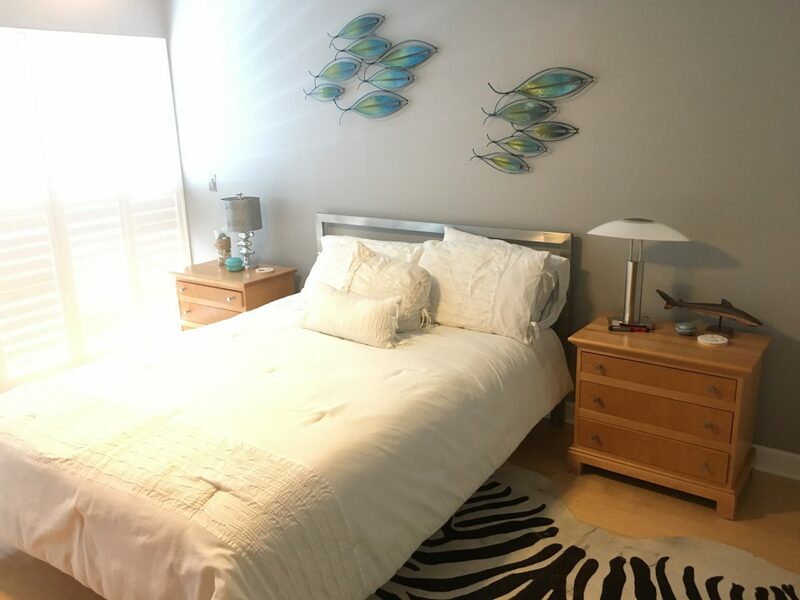 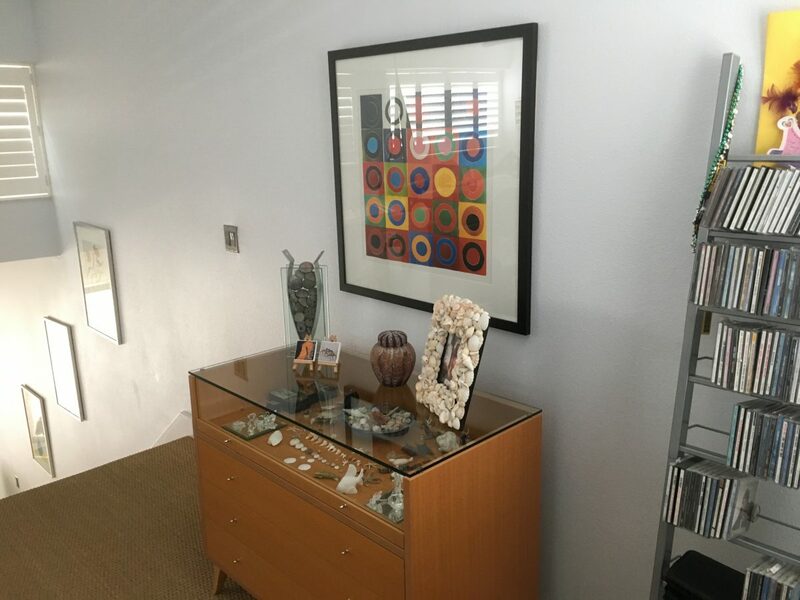 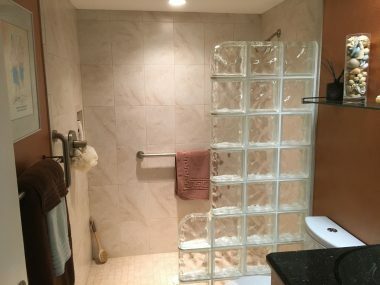 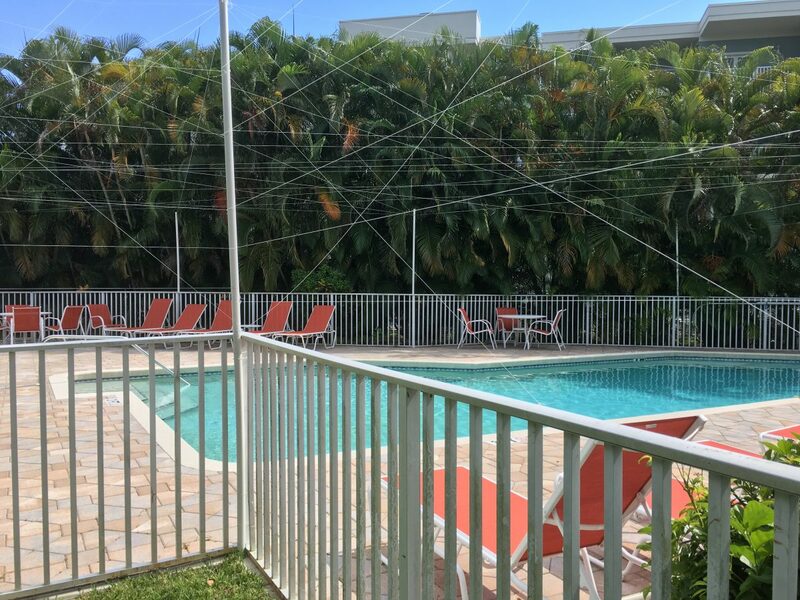 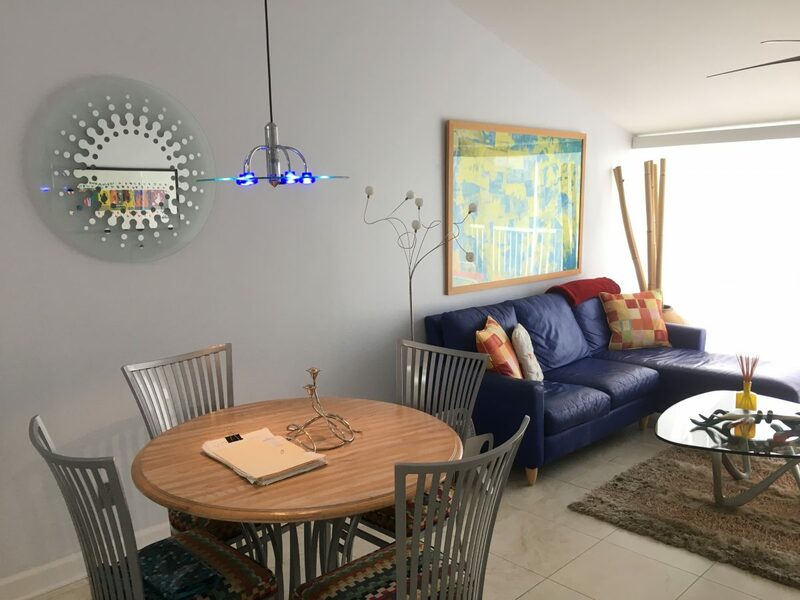 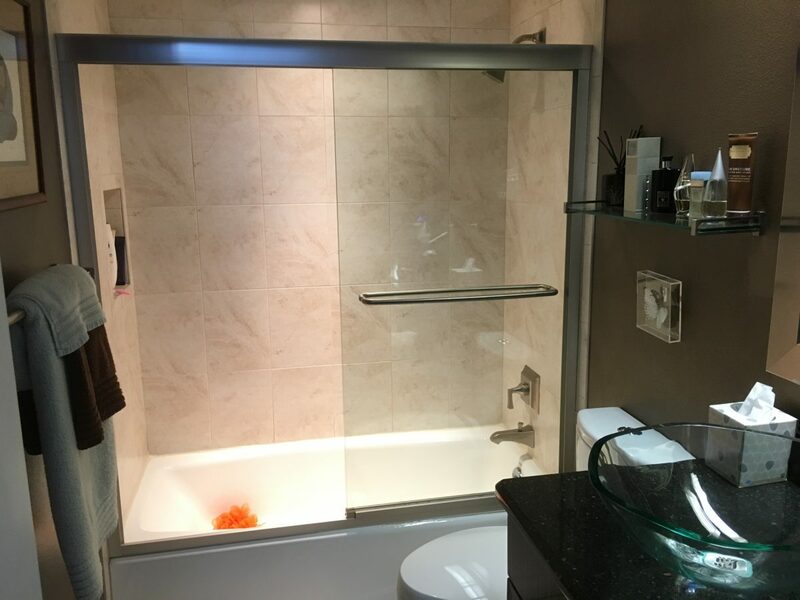 This unit is completely furnished as in the photos with the exception of personal items. This is the Florida beach condo you’ve been waiting for. 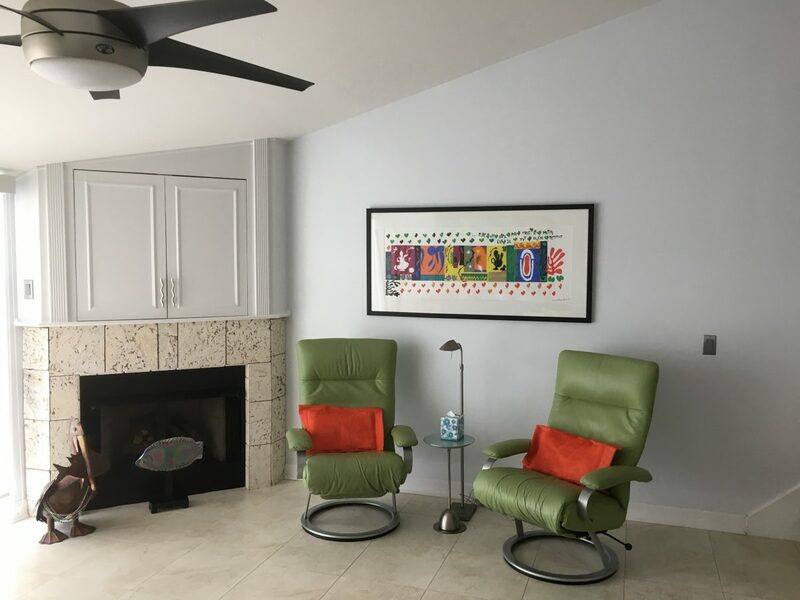 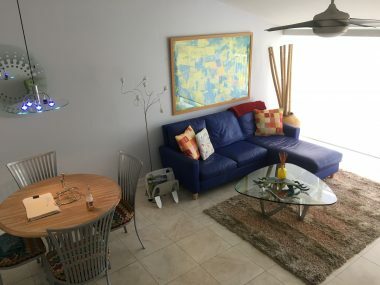 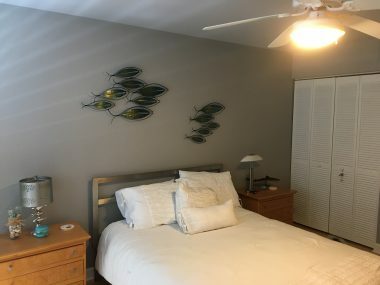 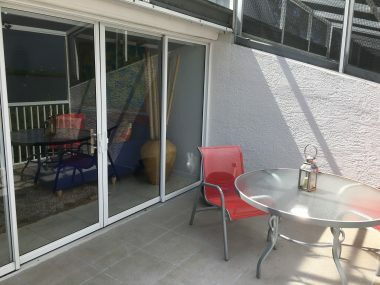 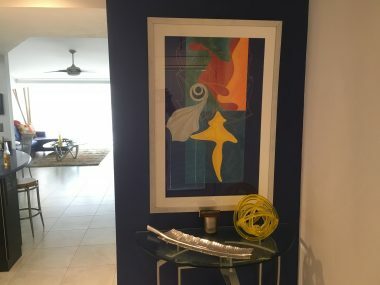 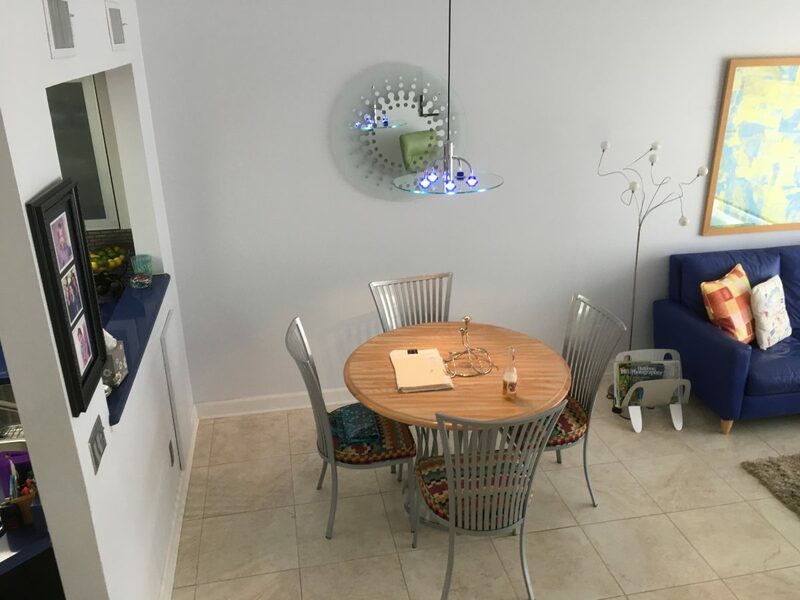 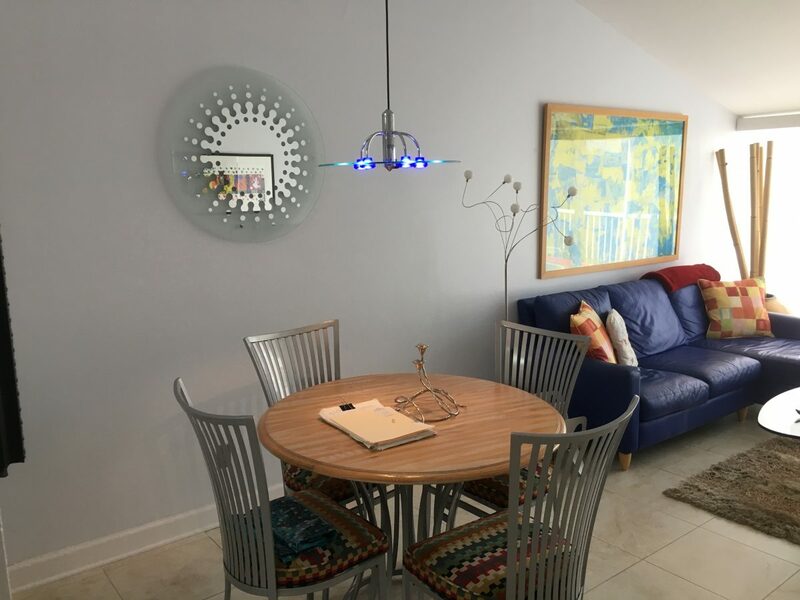 Live and vacation in your Southwest Florida condo on the beach. 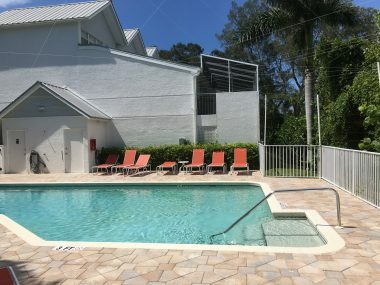 Beachfront condos for sale in Florida Gulf Coast. Happy wife, happy life when you find a condo on the beach in Southwest Florida. 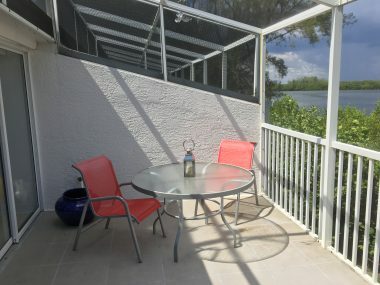 Beachfront condos for sale in Florida. Buy a Florida condo on the beach and enjoy life. 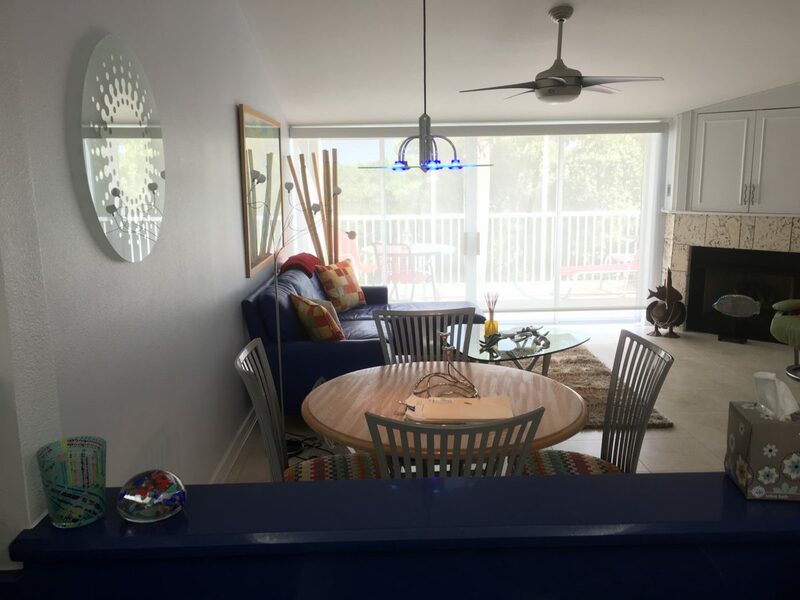 Beach condos in Florida are the perfect winter getaway or investment property. Find that beach condo for sale in Florida and live the dream. 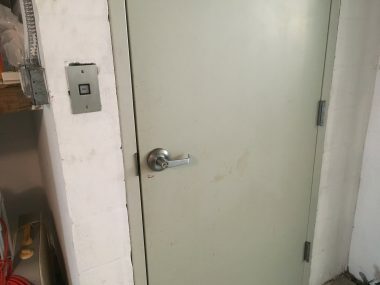 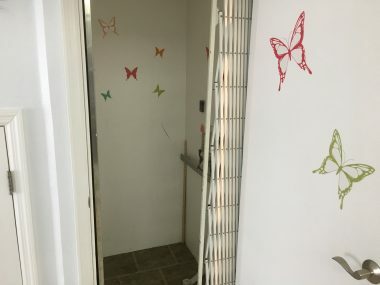 Building Elevator: Yes, private elevator from secure garage. Lease Restrictions: Yes, Lease minimum of one month. Tenants no pets. 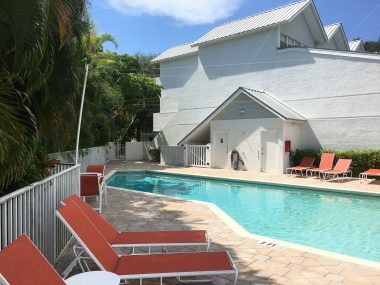 Driving Directions: From 776, take Beach Rd. 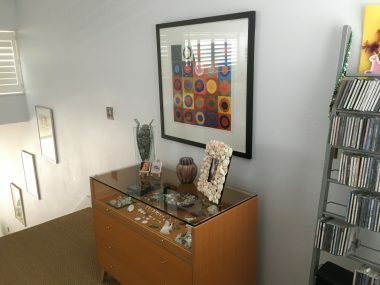 At traffic circle go right (north). 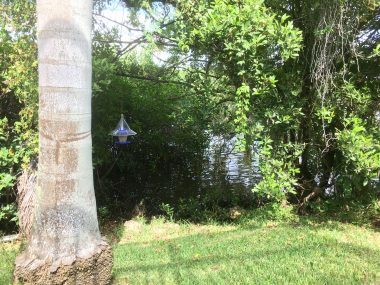 In 300 yards look for Live Oak Landing sign. 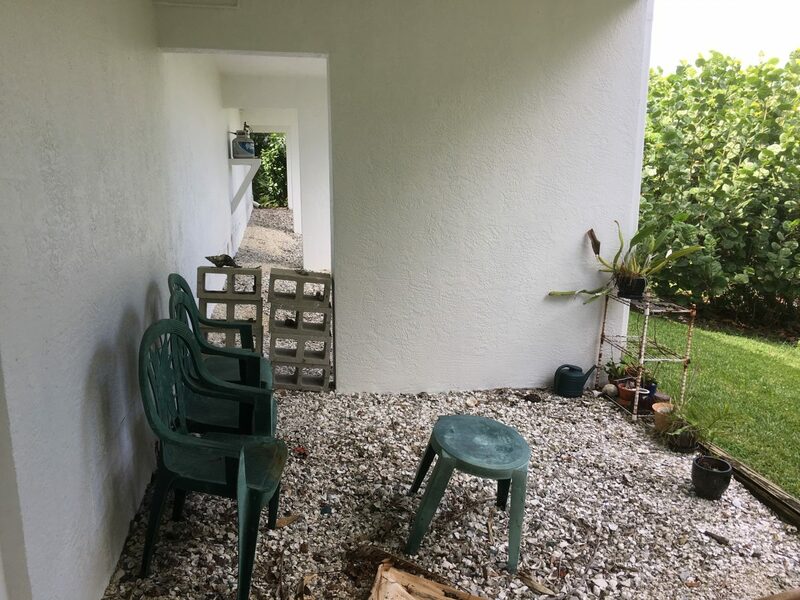 Follow the driveway all the way to the end to find Unit 1. 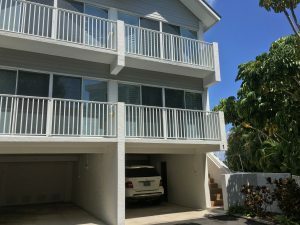 Oceanfront condos for sale in Florida are luxury properties.